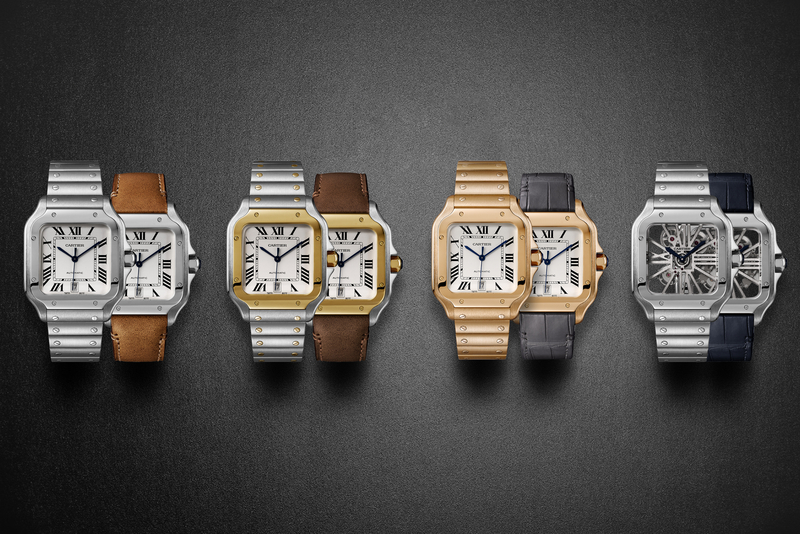 The Cartier Santos 100 chronograph is treated with a special amorphous DLC coating. Cartier says this specific treatment process is used on military equipment and that they have the exclusive rights to use this treatment for watches. What makes it different than other DLC treatments? 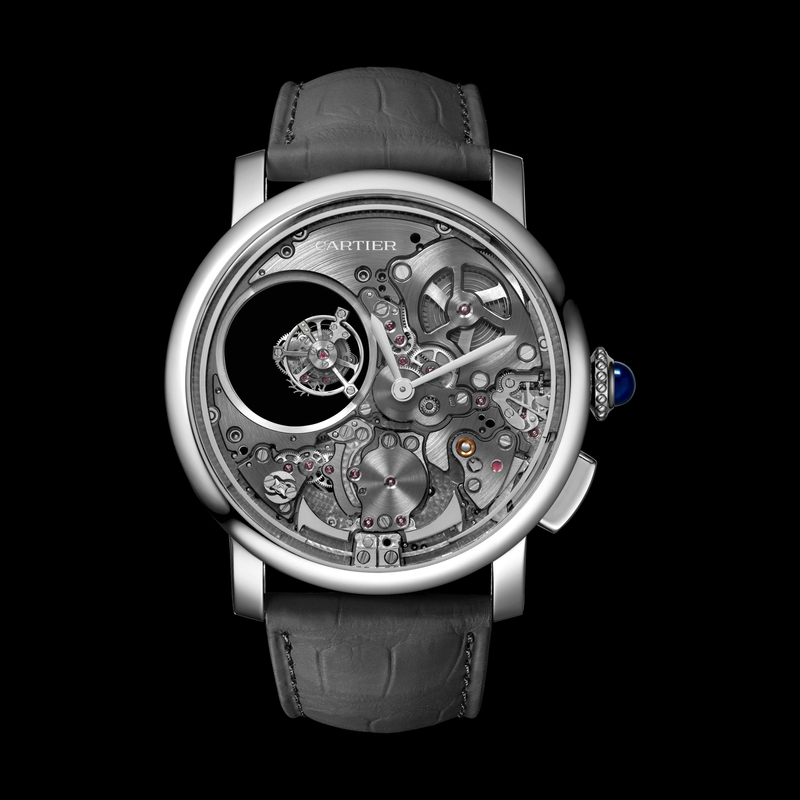 According to Cartier, the thickness of the coating is superior to all other treatments and will not show contrasting color. It is even fingerprint resistant. The bezel, pushers and elements of the dial are made of 18k rose gold. 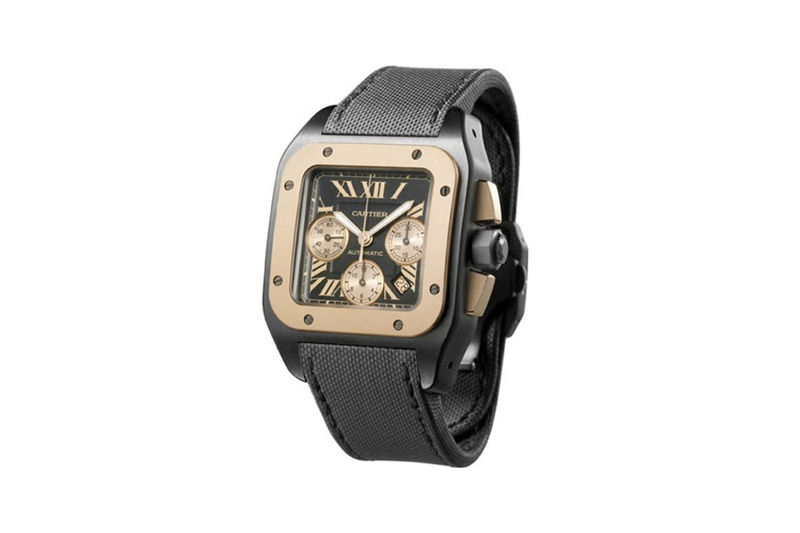 The movement is automatic with a chronograph and date function. The price is $14,350.